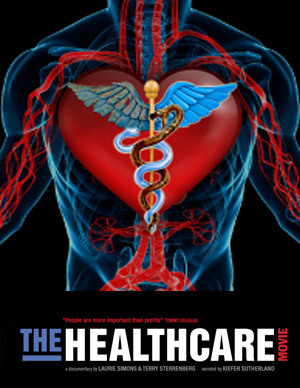 A free viewing of “The Healthcare Movie” will be shown at Southern Oregon University on April 29th at 10 am in the Hannon Library. The Healthcare Movie is an independent documentary produced in the Northwest that provides the real story of how the health care systems in Canada and the United States evolved to be so completely different. Join Health Care for All Oregon – Rogue Valley, Southern Oregon Jobs with Justice and the SOU UN Club as they host a discussion about the use of independent media in the campaign for universal health care. Learn how grassroots media helped organize HCAO’s recent Salem rally. The movie will show at Southern Oregon University the Hannon Library – Meese Meeting Room (305). A light breakfast will be served prior to the movie. This movie is part of Independent Media Week. Click here for a complete list of events.